1. Take a group photo (groupfie) upload it with your answer and hashtags. 2. Answer the question, "Why are you proud to be a part of the #ChickenjoyNation?" 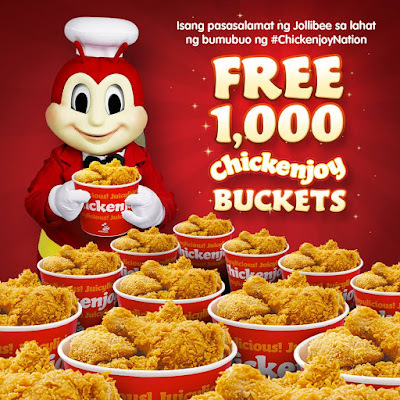 Best 1,000 answers will get a 6-piece Chickenjoy Bucket from Jollibee. Winners will get a message on how to claim their prize from May 1 - 7, 2016.